Cruises on Monarch Countess showcase the local culture, history and architecture of each port while sailing on a river cruise line that's known for affordability. Onboard cruise directors provide expert explanations and insights throughout the sailing, not only onboard but on shore as well. Local cuisine is served in the ship's forward-facing restaurant, which features open seating with buffet-style breakfast and lunch, and fixed menus with several entree choices for dinner. 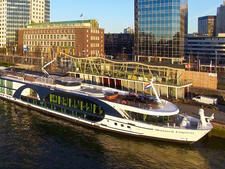 Monarch Countess has 64 cabins and four suites that range from 172 to 258 square feet. Each cabin is air-conditioned with individual climate control and features a private bathroom, flat-screen TV, telephone, hair dryer, safe and mini-fridge. All are outside cabins and feature either windows or a French balcony. 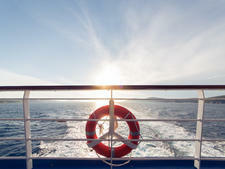 The Sun Deck offers lounge chair seating, a Jacuzzi and the Sky Bistro, which serves light snacks and drinks. Onboard activities vary and may include games and contests during the day and live lounge music, and cocktails and conversations with friends at night. Additional amenities include Wi-Fi throughout the ship, a small fitness center and a 24-hour self-serve coffee and tea station. The minimum age to sail is 16 years old. In 2019, Monarch Countess offers an eight-night Germany's Rhine River itinerary between Basel and Amsterdam calling on Breisach, Strasbourg, Speyer, Rudesheim, Koblenz and Cologne. 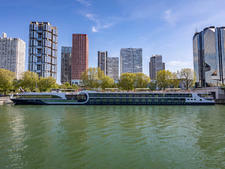 Gate 1 expands its river cruise offerings with this comfortable, value-priced river cruise vessel in Europe that's sure to please. Monarch Princess has 67 outside cabins measuring 172 square feet, which come with beds that can be configured as a double or two single beds. This vessel, the first to be privately build for Gate 1, sails Danube itineraries and offers 72 outside cabins, 58 with French balconies. 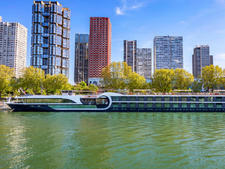 A 136-passenger river ship sailing the waterways of Europe; features modern decor and amenities as well as comfortable cabins and public spaces.